One of the great problems that power scaling RPGs face is they tend to have a slow start. You’ve no interesting abilities, the story is so vague there’s nothing to follow, level design is overly simple and it seems like the entire first level is set to tutorial difficulty. I won’t mince words; my first impressions put Lost Child in the ‘mediocre’ category, with nothing inherently wrong about it, but nothing as well to put it above others in its genre. After some significant time in the game, I found myself hooked. Yes, the story is only serviceable, it’s not bad but fairly predictable and spending the first chunk of the game watching seemingly random cut scenes of pompous angels talking about things that make no sense is only mildly amusing at times. The soundtrack is fairly forgettable, but the voice acting is well done. The game looks quite nice, considering it’s a dungeon delving game that can get away with having next to no animation they did a good job with making a massive collection of demons to capture that all have vibrant appearances. 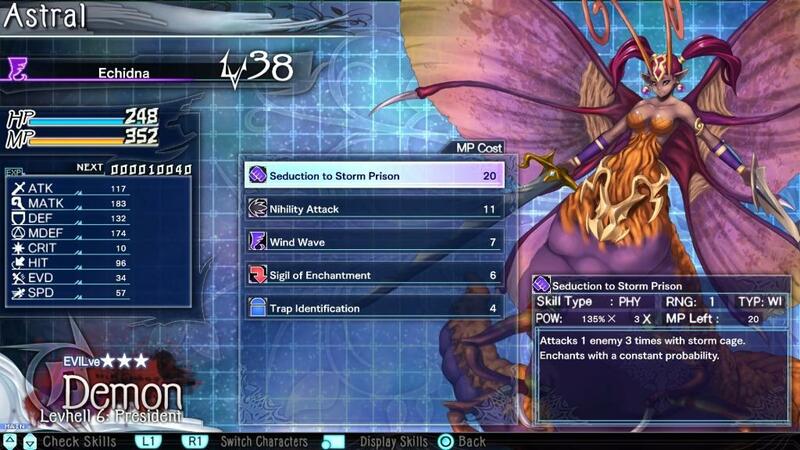 To sum it up, you capture demons much like Persona or Pokémon, and delve dungeons much like Etrian Odyssey. Unlike Persona though, expect to spend nearly the entire game fighting monsters. Combat becomes far more customizable and some level of expertise is required on the highest difficulty to get through monsters. You’re able to trade abilities, evolve demons and even restart them at level one with stat boosts in the quest to make your ultimate party. There’s a sub party that can be used during combat, making it fairly easy to exploit enemy weaknesses. The game is limited in providing telegraphs, though big boss moves do have a charge and become more menacing in each phase. You can somewhat control who foes target though with a threat system which lets you know who in your party is most likely to be attacked, and abilities which both increase and decrease it. This one system adds depth and strategy to combat, and I’d like to see it adopted elsewhere. Despite this being a massive dungeon crawl, on normal or easy you will never have to grind if you’re intent on just seeing the game. Of course, if you intend to make a beast party it’ll require more work leaving it up to you just how much extra time you want to spend playing. The elemental weakness system is very straight forward, and the way of capturing demons to add to your roster is fairly nice since you can power it up and not have to worry about getting a demon to low health without killing it before using it. You can pay to retry or escape battles if you do happen to perish, as boss battles can be fairly threatening especially if pursued at low level, and your party falls if the main character dies. If not for the low cost of escape these deaths would be frustrating, but you can also gear and allot stats to him to ensure he’s a walking fortress. 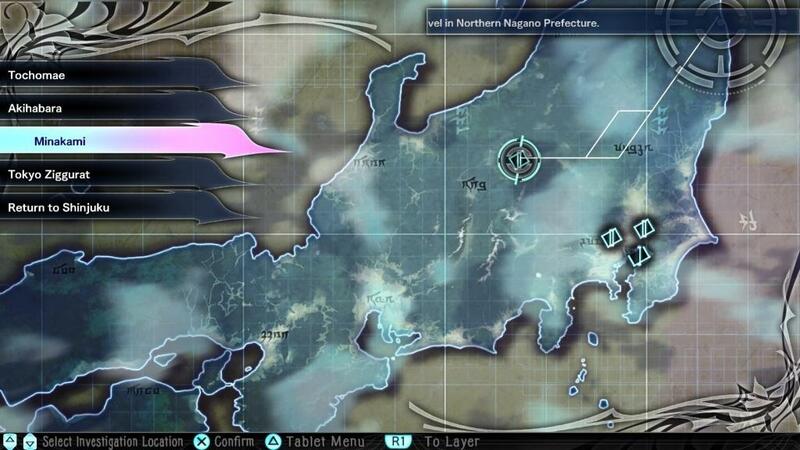 Level design is probably where the game shines, though it does take a few hours to start to see it. Levels soon become full of puzzles, hidden rooms and traps, and I found myself both enjoying solving them, and from time to time stumped. In most cases, one can get through a level or reach treasure quickly by figuring out hints- but, if you can’t do so, trial and error while slow will get the job done. While exploring and reaching the stairs can be quite a task in these labyrinths, the regular inclusion of shortcuts makes it fairly easy to return if you need to go back to town. Of course, for a dungeon delve, treasure has to be a major factor. Some is found on the map, but most chests drop after battles and can contain randomized gear. Chests also contain traps though, and each demon has an ability for helping open chests safely. 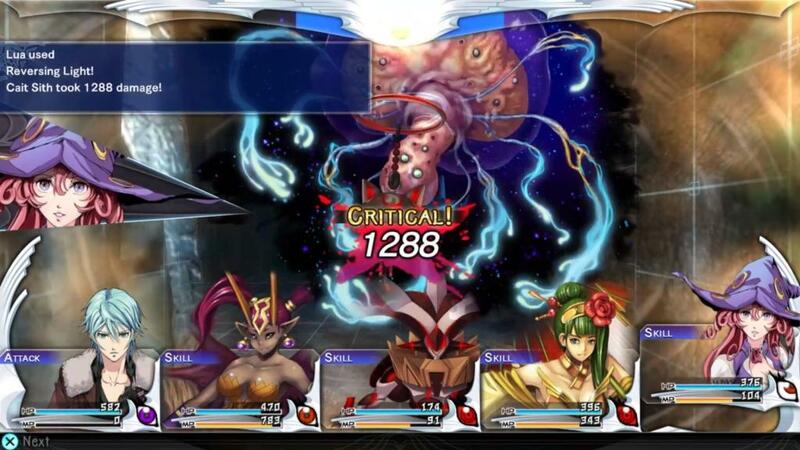 Since gear can only be equipped by your main two characters, even if you don’t get lucky your three demons can still do the bulk of damage in fights. However, getting a good weapon or an ornament that adds a status effect can really help out. In terms of quality of life touches. Items which increase or decrease encounter rates, can warp you to parts of a floor you’ve been to or out of the dungeon, and a spa where you can choose between increased stats to help with facing a boss, or decreased stats and a buff to XP gain all make it fairly easy to choose what you intend to do each trip to the dungeon. There’s both an auto combat, and auto move on the map option to make grinding faster, and a journal with information on how much of each map you’ve discovered, as well as percentage of demons and items found which is helpful for trophy seekers. The game is easily 60+ hours, so the slow start only ends up being a sliver of the game, and that’s not including the side dungeon which is expansive, full of its own puzzles and includes a wandering boss FOE.